Become an Item Author for the Hawaii Smarter Balanced Member Managed Item Development Project! The Office of Strategy, Innovation, and Performance, Accountability and Assessment Branch is seeking educators who have experience teaching English language arts or mathematics and have a deep understanding of the Hawaii Common Core Standards to apply to learn how to become an item author for Hawaii’s Member Managed Item Development Project. Participants will work with Hawaii’s test development and content specialists to become certified as item authors and write test items (questions) to be submitted to Smarter Balance for inclusion in large-scale assessments. • write and revise items for final submission. 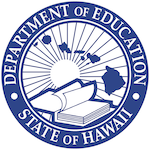 The Assessment Section is seeking grade 3-12 educators with expertise in the Hawaii Common Core Standards for ELA and mathematics and higher education professionals in a related field. Participants will be selected based upon experience and expertise.